Originally published in 1939 as part of the Cambridge Comparative Physiology series, this book details how animals living in water regulate their internal water content. 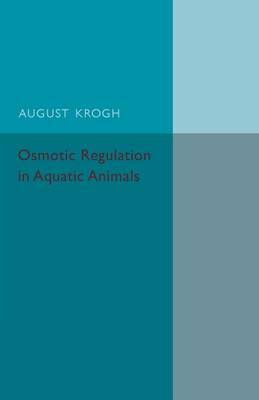 Krough exhaustively surveys animals from protozoa to crustaceans and aquatic birds, as well as examining the osmotic conditions in sensitive eggs and embryos. This book will be of value to anyone with an interest in osmosis and the life of aquatic animals.